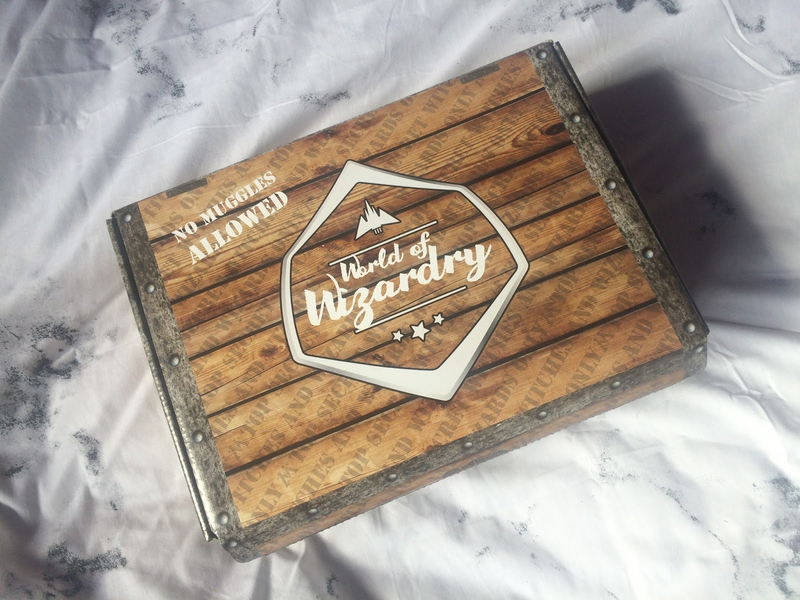 Danni Laura: Geek Gear's World Of Wizardry Box, March 2017. 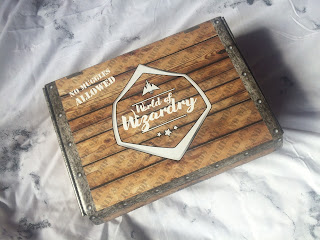 Geek Gear's World Of Wizardry Box, March 2017. Geek Gear is a UK based company that currently offer three different monthly subscription boxes. The Geek Gear box features your popular 'geek' staples such as Star Wars, Marvel and Doctor Who etc while the other two boxes focus on Harry Potter and Fantastic Beasts. 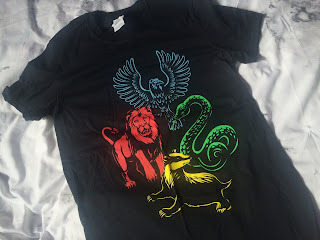 The normal box includes an array of items and 1 shirt while the wearables box consists of shirts, socks, beanies and a whole host of goodies you can wear to show your magical side. 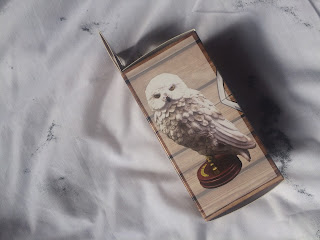 Both boxes allow you to choose a hogwarts house so your box will personalised to your preference. You can buy any of these boxes as a one off purchase at £24.99 but if you subscribe, the boxes only cost £19.99 per month plus £2.99 shipping. I originally subscribed as I wanted to get a box for one of my friends as a birthday present and kept the subscription going so I could gather some bits and pieces to put towards a present hamper for my nephew at christmas. 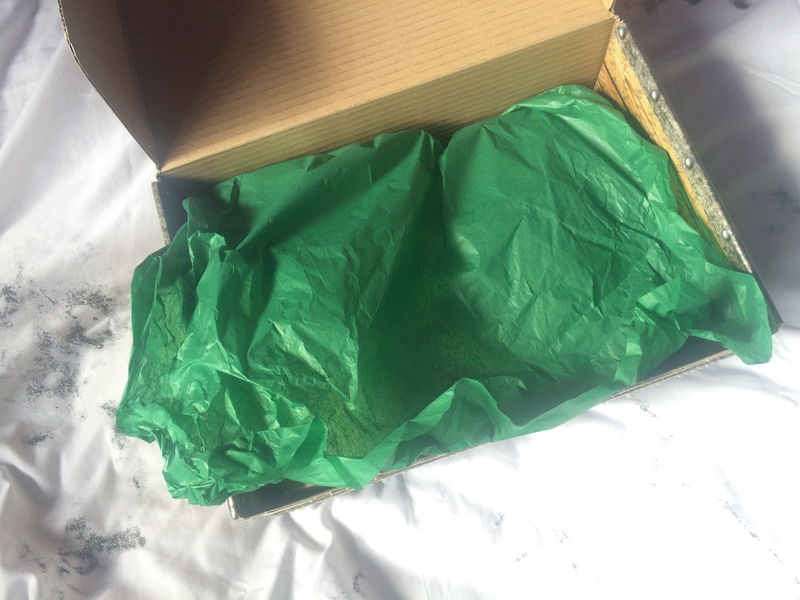 As soon as you open the box, you'll be greeted with tissue paper to suit your hogwarts house choice. Mine was Slytherin as you can probably tell! The box is always packed full of goodies and Geek Gear do a wonderful job of presenting their boxes. There is almost always a print included in the box. 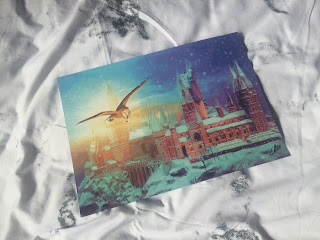 This month it was this lovely snowy Hogwarts scene. I know my nephew likes to put up posters in his bedroom so I'll be passing this onto him. The shirt this month is black and features the animals of the hogwarts houses in their respective colours. I'll be keeping this myself as I really like it. 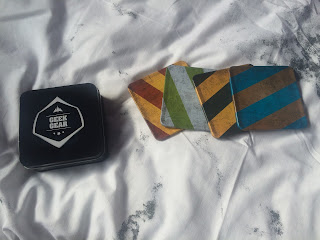 Next we have a set of house coasters, something else I'll be keeping. 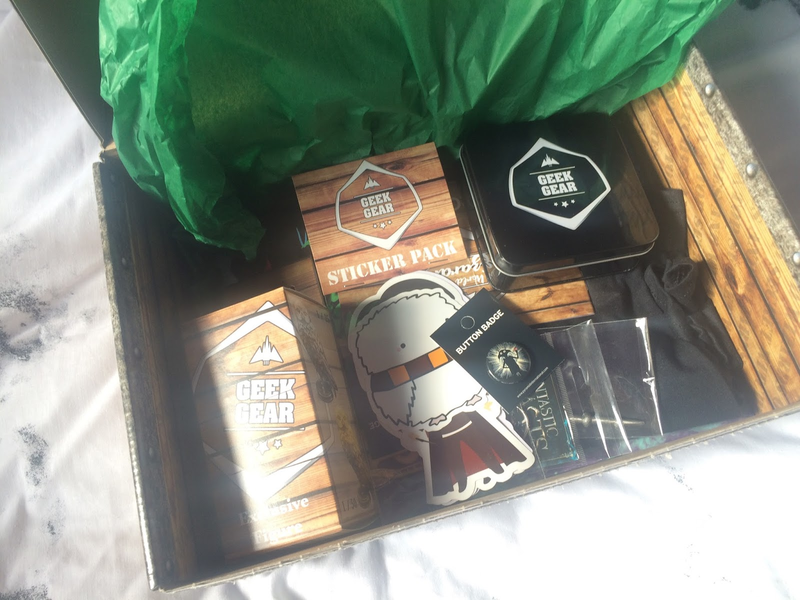 They came in a little Geek Gear tin which was very handy. They have cork on the bottom but the top in cased in metal so they'll be easy to wipe clean. This sticker pack includes four stickers featuring Harry, Ron, Hermione and Hedwig. 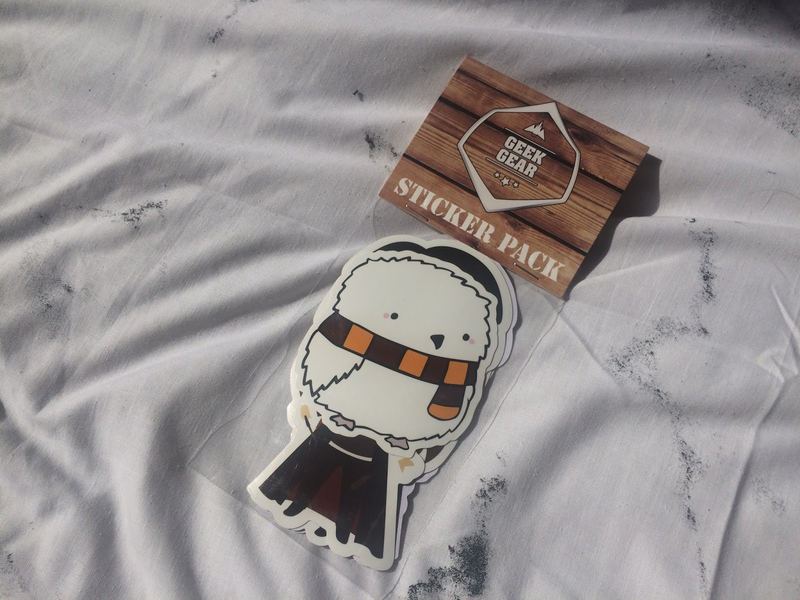 The cartoon design is very cute but these are going to my nephew. I love this elder wand necklace! I'm definitely keeping this to add to my Harry Potter necklaces. 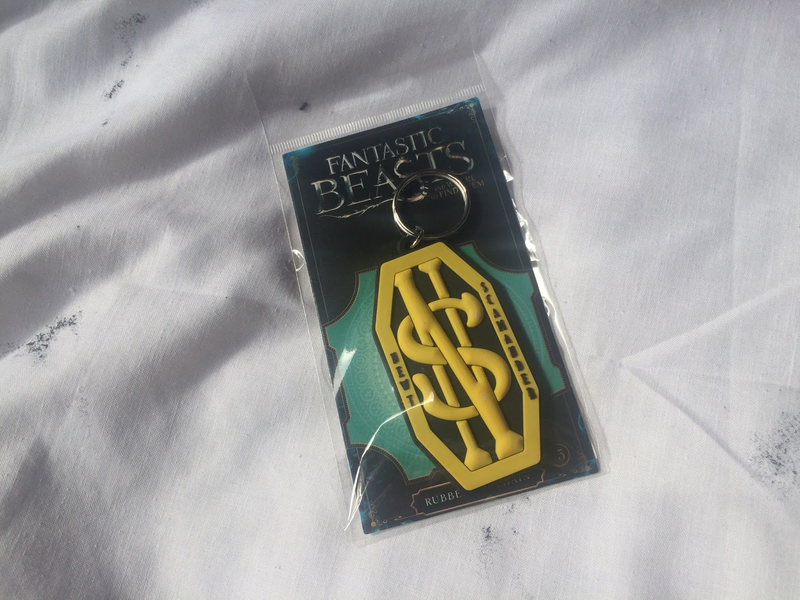 The only Fantastic Beasts item to pop up in this box is this rubber keyring. 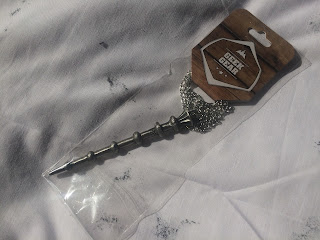 This will be going straight onto my car keys. 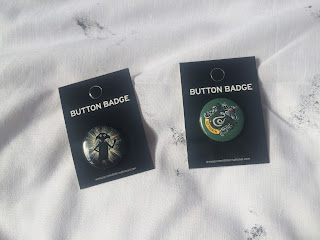 Next we have two pin badges, a Dobby one and a house one, the only thing this month featuring your house choice. A little disappointing to only see one but oh well. I'll be putting these onto a denim jacket I think. I'll be passing this figure onto my nephew as it isn't my sort of thing but I like what they're trying to do with having exclusive figures. 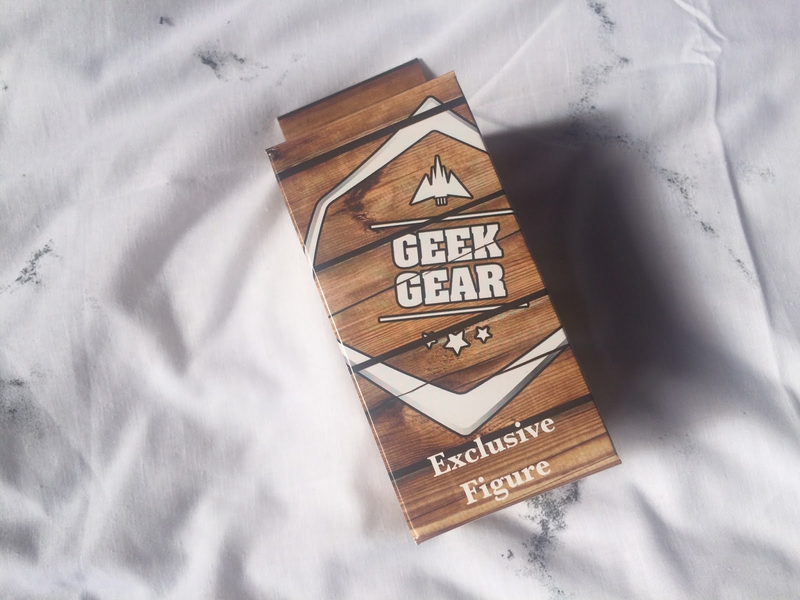 What do you think to this subscription box? Look Incredible Deluxe Box, April 2017. What I've Been Reading: March 2017.